Meeting the daily mobility needs and challenges of the modern family isn’t an easy feat. Children need to go to school, parents need to get to work, there’s the daily shopping, plus some days there are those leisure needs such as going to the park, the beach, or a friend’s house. 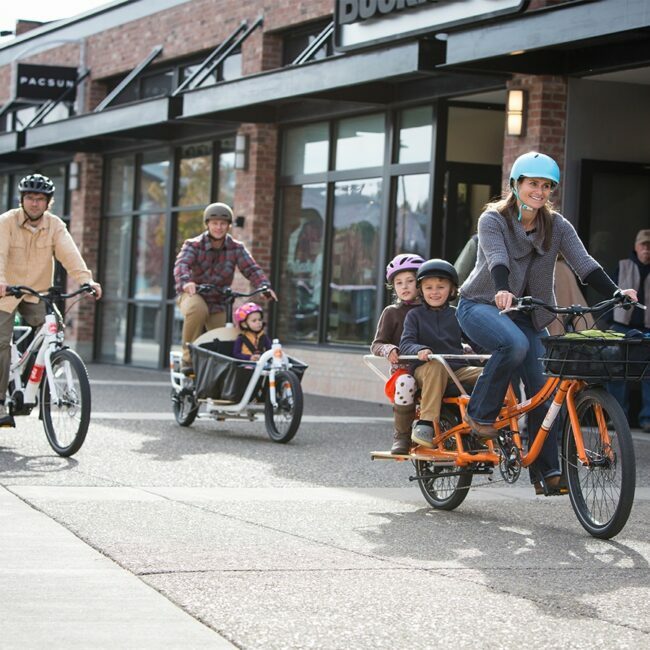 Cargo bikes meet and exceed all these needs by providing a low-maintenance, family-friendly, and easy-to-park option. High load capacity – multiple children plus shopping bags can be wheeled around with ease. Some bikes even have room for the family dog! 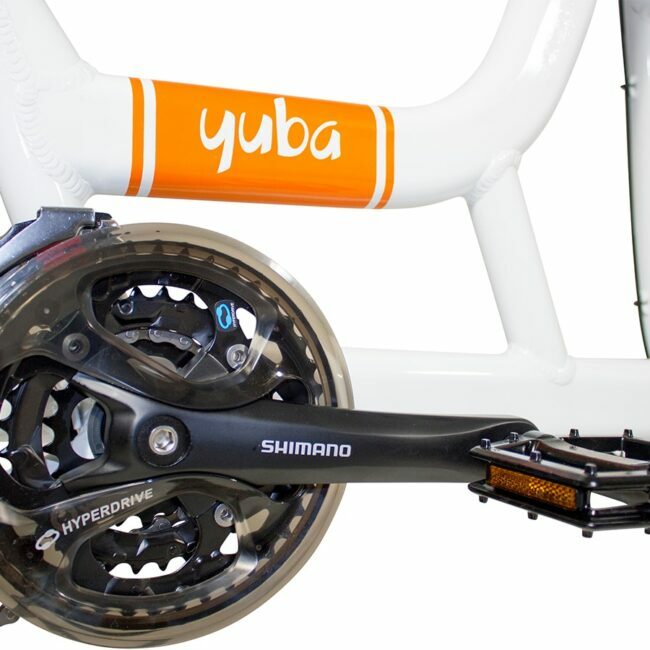 Safety – depending on the model, cargo bikes come with different safety equipment ranging from belts to bars and more. The entertainment – riding a bike is way more fun for kids who get to see the neighborhood and enjoy the elements. They are more engaged with their surroundings than if they were in a car. Optional add-ons – Depending on the local climate, urban parents can choose to get an optional rain cover, a wind breaker etc. Parking costs – In most scenarios, parking is free! And even when urban garages apply parking charges to bikes, it’s much less than what one would pay for a motorized vehicle. Eco-friendliness – modern families opt for cargo bikes for environmental reasons as well. Riding a cargo bike is an effective way to protect the children’s ecological future. Fitness – whether the bike has electric-assist or not, it provides a fun and efficient way to get some exercise done. Thanks to all the above reasons and more, family cargo bikes have fast been making inroads into many cities around the world. Today, 25% of all families with two kids in Copenhagen have a cargo bike. Across the pond, in vehicle-loving U.S., the trend is swaying toward the cargo bike as well. 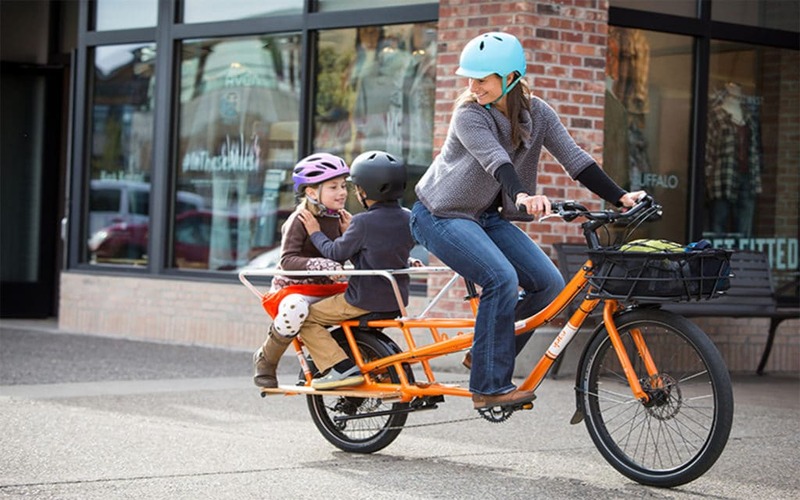 More and more families choose riding a cargo bike over driving a vehicle even in cities like New Haven, Tucson and Dallas. 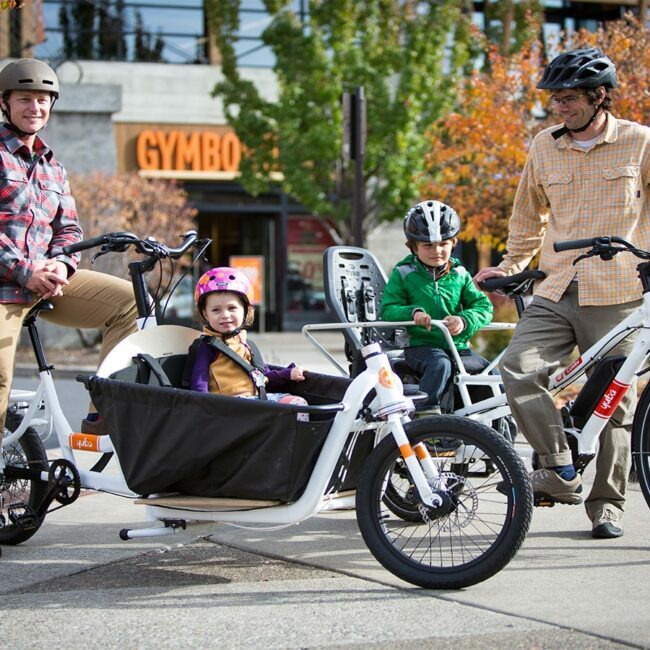 There are different types of family cargo bikes in the market. There are the longtails which have your precious cargo carried over the rear wheel, and the front-loader style where a cargo box is mounted in the front. Feel free to visit our cargo bikes section to explore different styles.